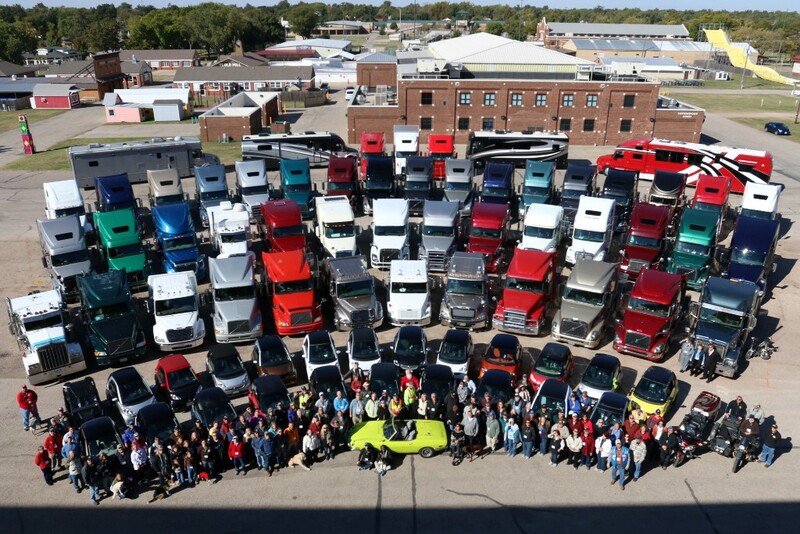 I've been looking around at some rv forums lately and ran across a rally for dynamax owners. I was looking at the dx3 (not to buy one, I have a friend who just put a deposit on one today) and noticed they had a rally last month. Which gave me the idea of maybe we could get one together for truck conversions? I know we are more spread out but it would be neat to camp together somewhere and check out everybody's rigs and hangout. I know when we travel my son(14) always co pilots and we are on the lookout for toterhomes and truck conversions. Only saw about 4 our whole trip to Florida, about 1100 miles round trip. Really depends on the time of year for the location. I have discussed this with some others (John H & Sam) a little. John H is selling his coach, so he's probably out. I suspect Bob W. will recommend the HDT (5er) Rally at the Kansas State Fairgrounds in Hutchinson Kansas the middle of October. Looks like that HDT bunch has a new web site HERE - there is no cost revealed w/out (apparent) registration - and the REGISTRATION is not working <SMDH>. As I recall the HDT rally was pricey IMO - some will argue that there is good value, I'm not so sure. Personally we're committed to a Vintage Motorcycle Race in Birmingham (Oct 5 -7), and I'm still awaiting repairs from our blow-out in May. As you can see from the HDT Rally picture the focus is on 5er's and pulling trucks. The DynaQuest folks met at Anchors Down RV Resort north east of Knoxville Tennessee not far off of i40 near Dandridge Tennessee (where we had our blow out in May). I love the idea. I have attended several of the HDT National Rally in Hutchinson. Missed the one in the above picture. They are a good bunch. Pretty well organized rally. A lot of the stuff doesn't pertain to Truck Conversions. The HDT Rally people are very welcoming to everybody that wants to attend. But for sure it is a HDT Rally, not a Truck Conversion rally. I'd be all for a Truck Conversion Rally! Problem is I don't think there are enough people to get one going yet. And I have absolutely no organizational skills to help get one going. The State Fairgrounds in Hutchinson, Kansas, is a perfect venue though. Plenty of room for big rigs. Central location. There are several options for tourist type stuff. Etc.... Maybe organizing a gathering of Truck Conversions for several days before or after the HDT Rally might be a good first move? The HDT guys are mostly full timers. They have all the time in the world to hangout. I think the conversion group is pretty evenly split between working stiffs (like myself) and retired folks. The question is how far is everyone willing to travel. There is a wonderful campground in Savannah that has Rally space and There is few campgrounds near gatlinburg/pigeon forge that advertise rally space. That is as far as I could travel in a weekend, so I've never investigated anything further. With enough lead time planning a leisurely rally wouldn't be that hard. Of course we wouldn't have all of the classes and stuff without volunteers. We used to go camping with a large group of friends about once a month. We would all do our own thing during the daytime and have big pot luck dinners in the evenings. I wouldn't call it a "rally" but we traveled around Florida hitting different state parks every time. I think it would be good to get together. I would really enjoy the opportunity to see other people's rigs and meet fellow TC owners. Unfortunately, with four children spread between college and high school, we have very limited time for a get away. We would have to hit a bullseye on our calendar. I have always read great things about the HDT Rally, but think we would feel out of place there with our Renegade. Plus there would be less opportunity to see relevant fixes, upgrades, work arounds, etc. sounds like youre just a year or so from freedom & tailgating. So what we really need right about now is a member map. then we can find a place to meet. I vote Fort Wilderness at Disney. try it again - I was screwing around w/ the view. you MAY need a gmail account (shouldn't but you might, try it w/out 1st).